PADELA, founded in 1983, is a non-governmental non-profit program dedicated to the protection of animals. To promote their well-being. To prevent mistreatment and guaranteeing their health. They provide Veterinary consultations, vaccinations, surgeries and more at a very minimal cost. They provide spaying and vaccinations to street animals to help control the population. They protect animals of all types and fight for they safety and protection of all animals, captive and free.They are now trying to make a large veterinary hospital built only on donations. PADELA has many animals that need a good home. A pet is ready and waiting for adoption and wanting a human to care for. Pet Plaza - All your pets needs. Carrying some of the best pet foods available in Dominican Republic. The pet shop that really cares about your pet. They can also special order some items for you as well. If you are looking to adopt a pet or for a place to train your dog, the owner Kay, has all the information you will need. Hours: Monday thru Saturday 8-12 am and 2-5 pm. A nonprofit foundation that is responsible for ensuring the defense and protection of defenseless animals from streets and homes in the Dominican Republic. Also performs various activities of adoption so the street animals or those abused can get a new chance at life. The foundation was created by Dr. Marilyn R. Lois, who is a lawyer and defender of the rights of animals. They are always happy to get any donations you are willing to give. There are many Doggie T-Shirts. Let your Best Friend show its Dominican Pride! Maybe you want to match. Most of the doggie clothes are available in human shirts and hats also. This way you and your best friend can match as you walk along together. These represented are a few I liked but there are so many different styles that I'm sure you and your boss dog will love. If you found my web site useful please consider making a donation through Pay Pal . Thanks! Our complete exchange rate tool. Offering the best veterinary consultations for your pets at a low price and in your own home. House your pet while traveling or working. Your pet will feel at home with a large garden / patio to share with new friends receiving 24-hour supervision. La Esperilla, Santo Domingo, República Dominicana. 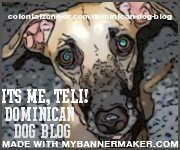 We now have The Dominican Dog Blog - Stories and reviews written through the eyes of the Dominican Dog, Teli (Her full name is Inteliperra). Also there will be resources about all things dog (and other animals depending on what Teli wants to share), vets, food, training, animals looking for a home of their own and more. *Remember most of these adoption centers and rescue places work on donations. 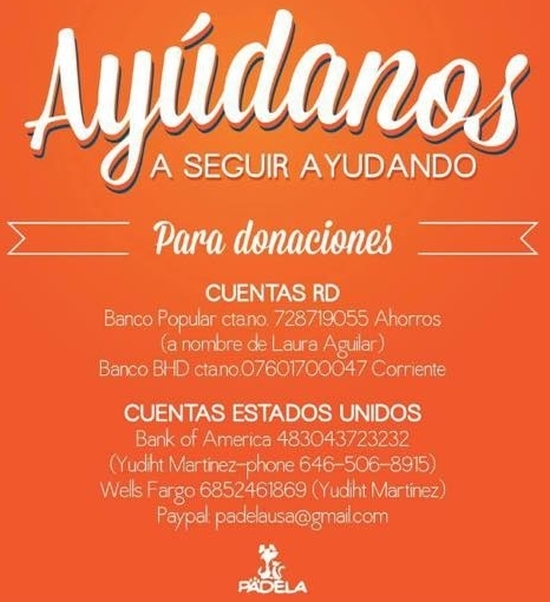 They need donations to help them do what is needed for all the animals of Dominican Republic. Click on the poster and all the donation information is there for USA and Dominican Republic. 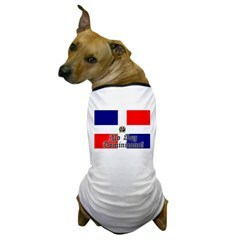 If you donate please mark it Dominican Dog so it will go to help our neighborhood dogs specifically. If you can't come up with money they are always happy to have volunteers (or you can even do both, volunteer and donate). They will find something for you to do and will be very happy to have your help. Directions: Calle José Gabriel García #175, Zona Colonial, Santo Domingo, República Dominicana.